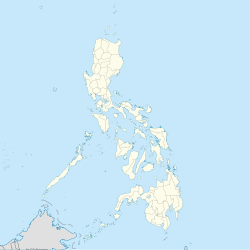 Lazi, officially the Municipality of Lazi, is a 4th class municipality in the province of Siquijor, Philippines. According to the 2015 census, it has a population of 20,490 people. Lazi church is currently in the tentative list for UNESCO World Heritage Sites under the Baroque Churches of the Philippines (Extension). A proposal has been suggested by scholars to make a separate UNESCO inclusion for "Old Centre of Lazi which includes the Lazi Church". This page was last edited on 24 February 2019, at 09:37 (UTC).